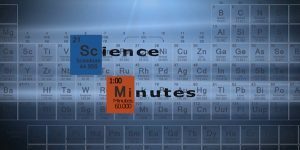 PBS39 creates, produces and broadcasts shows from our studio in Fort Wayne Monday through Friday at 7:30pm each evening. “arts IN focus” is preproduced on location and in the studio. The other programs are broadcast live, featuring professional hosts and special guests from around the region while offering you a chance to call-in with your questions on a variety of topics and interests. PBS39 is proud of our award winning productions, and we could not do it without the support of viewers just like you. Thank you for making this all possible. 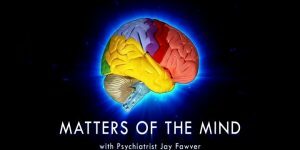 Hosted by Dr. Jay Fawver, discussing mental health issues Mondays at 7:30pm. HealthLine is on Tuesdays at 7:30pm, featuring local professionals and experts to discuss a variety of health related topics and take your questions. LIFE Ahead is on Wednesdays at 7:30pm, hosted by veteran broadcaster Sandy Thomson. This program covers subjects such as elder law, hospice care, home decorating, financial planning and more. The arts are all around us! Join host Emilie Henry each week for stories and discoveries from our region’s vibrant and growing arts scene. This area’s only in-depth, live, weekly news, analysis and cultural update forum, PrimeTime 39 airs Fridays at 7:30pm. During the Indiana Legislative Session, Primetime39 features local legislators engaged in live discussions about the status of laws, policies, taxation and more. 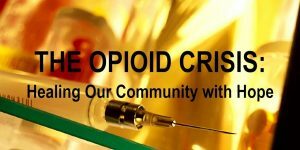 ‘The Opioid Crisis: Healing our Community with Hope’ features interview segments with experts who address various aspects of the opioid crisis in northeast Indiana, including the scope of the problem, how addiction starts, treatment, and showcasing addiction recovery is possible. Viewers were able to call in during the broadcast to ask questions of licensed health professionals. In this documentary production, PBS39 celebrates the past and present entrepreneurial achievements of the area by telling the stories of individuals, companies, and organizations that give Northeast Indiana a special quality of place for entrepreneurs to succeed. Historical images and research reveal the impact early inventors and business mavericks contributed to the landscape. Successful entrepreneurs share their business philosophies and give advice to those just starting out. These resources, taken from the documentary “Entrepreneurial Energy” produced by PBS39, are designed to help educators engage students in conversations about various topics and challenges encountered by entrepreneurs of all ages. They are eight short companion pieces of varying lengths covering a wide variety of subjects.